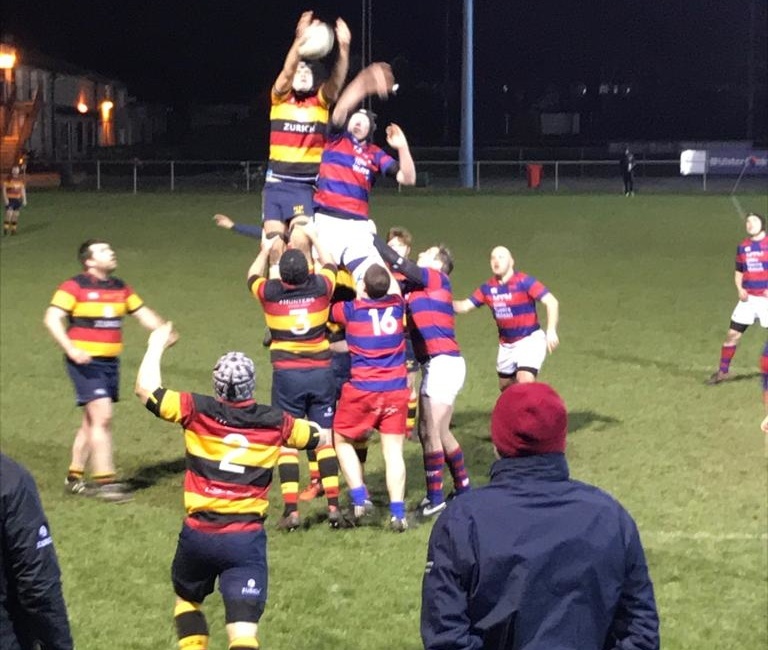 After scoring our solitary try during last week’s defeat to this Clontarf side, we asked “wouldn’t it be great if we could play like that all the time?” Well, this week we did! We’ll talk later about the seismic impact that new recruit Ger O’Connor had on the game (and will no doubt have on the whole club in the future), but this tremendous victory started the previous Friday night at around 10.00pm in Castle Avenue, when our lads had to endure the Clontarf side singing their victory chant on the pitch right beside us. If ever there was an incentive to win the return fixture, and win it convincingly, they gave it to us right there. And this week had the added spice of being a knock out cup game. 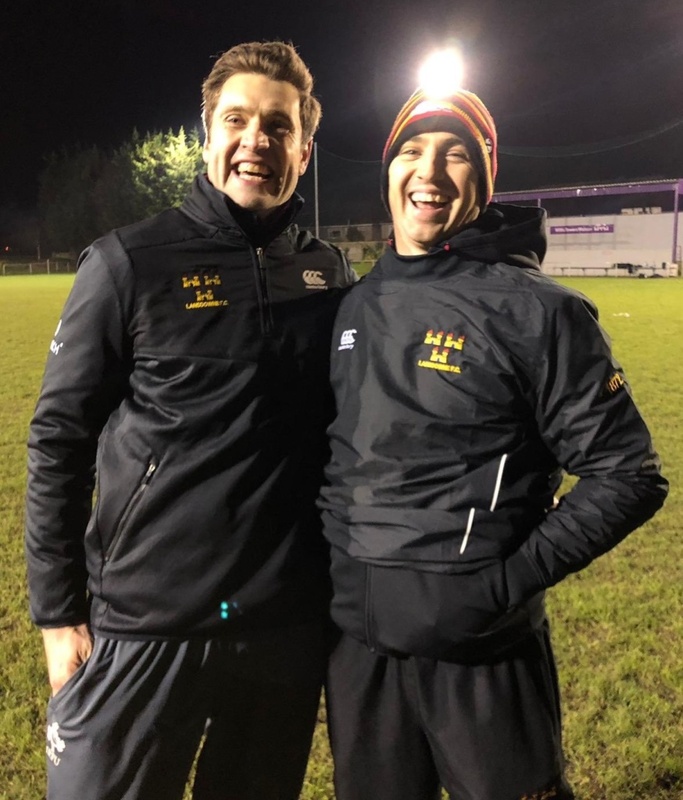 So, it was no surprise that this Wednesday we had nearly 40 lads training on a frozen back pitch in Lansdowne; no surprise that everyone was early for the match on Friday, or that there was a quiet hum of determination in the dressing room even before the warm up. And nor was it a surprise that as soon as John Delany kicked off, our pack unleashed a bolt of fierce retribution on their hapless ‘Tarf counterparts that left them utterly stunned. Penalty to us and JD knocks it over with his usual consummate ease. From their kick-out, our pack gather and protect the ball, presenting it on a plate to David Staunton who spins it out through the line, culminating in a sweet pass from Alex Caslin to new-boy Ger O’Connor. First game, first touch, first try. What an electrifying run, stepping inside his opposite number, but opting to back himself for speed to out run the covering defence. The lad has a turbo button somewhere and knows just when to use it. Seven minutes in, 10 nil. Nor did we have to wait long to see the UL Boh’s lad back in action again. Another ruck and ‘Tarf win the ball, but their backs are lying flat and JD comes up and intercepts a pass. 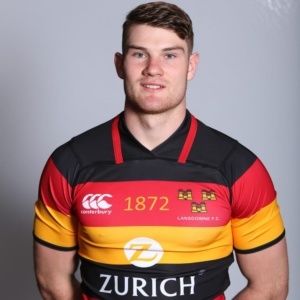 He drops the ball to his feet for a perfectly executed grubber for Ger, who still has a lot to do … he kicks it once, it stays low … never breaking his speedy stride, he kicks a second time and it bounces up beautifully into his hands and over for his second try in 15 minutes. 17 Nil. Half time and no one from the home side is chanting now. Clontarf got a try early in the second half, but JD slotted over another penalty to keep the margin respectable 5 – 20. Then another 5 – 23 and yet another, making it 5 – 26. Three penalties conceded in 12 minutes within kicking distance by a Clontarf side that added getting on the wrong side of the referee to their list of woes. With temperatures plummeting and the job effectively done, we could be forgiven for leaking another try making it 12 – 26 five minutes before full time. And likewise, after the ref mysteriously played seven minutes of injury time, a second consolation try for a well beaten but proud Clontarf side. Full time 19 – 26. How sweet it is! Too sporting to sing our Lansdowne chant on the pitch (and it was also Baltic at this stage!) we celebrated vocally back in the warm dressing room. So many stand out moments, but a few spring readily to mind: Traveling extra subs, Sean O’Driscoll who came on to the bench and later on to the frozen pitch when Jack Mulcahy was ruled our following a knock in training and especially Luis Castro who didn’t get a game at all. The ferocious tackling against the same Clontarf players that had cut through us just a week earlier. 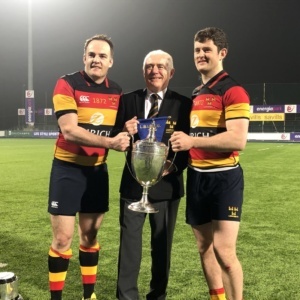 The heightened team work – no runner was left isolated, tackles happened in two’s and three’s and slack rucking by opposition was punished with turnover after turnover. 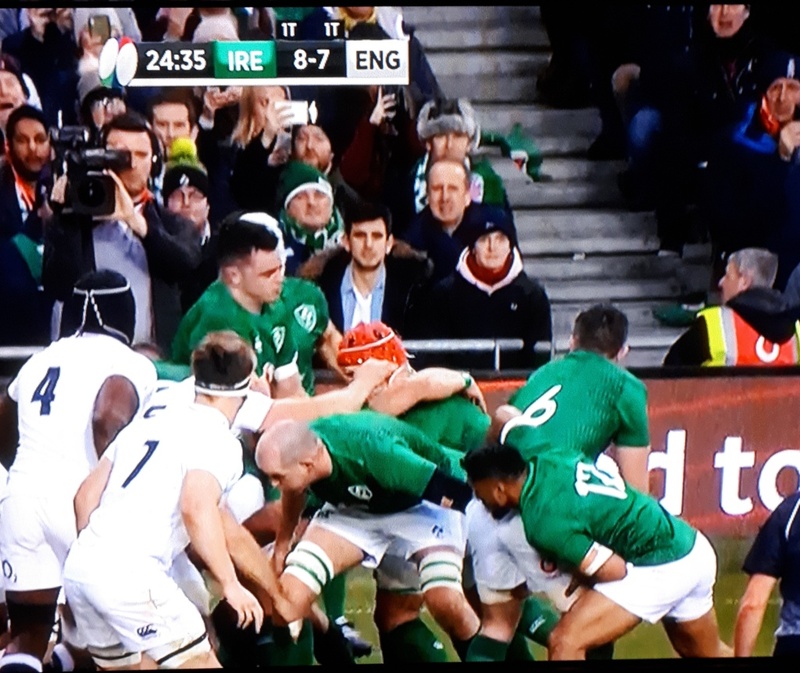 And, for the most part, we kept on the right side of the ref … well, the players did anyway. Unfortunately, one of our officials was put on the “bold step” for offering one of their players a “personal lesson in manners”! No names … this time! But the “Magic Moment Award” goes to coach/director/player and on this occasion touch judge, Ian “Beanser” Hopkins.